If you enjoy vintage, Victorian, Colonial or any of the many styles of traditional lighting, you are in luck! There are literally millions of lighting products to choose from in traditional styles, from wrought iron to resin to crystal. 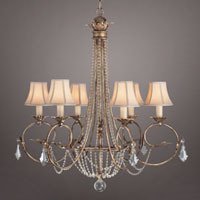 Most of our vendors carry some form of traditional lighting, with hundreds of new finishes and glass choices available to make your traditional purchase unique to your home.